Let's keep up the fight in 2019! We are winning. In the March 2018 primary elections, we elected a slate of Black and Latinx candidates from the rank and file of our movements: Brandon Johnson, Delia Ramirez, Alma Anaya, and Aaron Ortiz. These victories were a direct result of our efforts to build and win on a set of aspirational politics as far back as 2014. We are growing. We continue to add new affiliated organizations and at-large delegates to our Party Committee! We saw this growth firsthand at our largest-ever convention, in September. We are building. 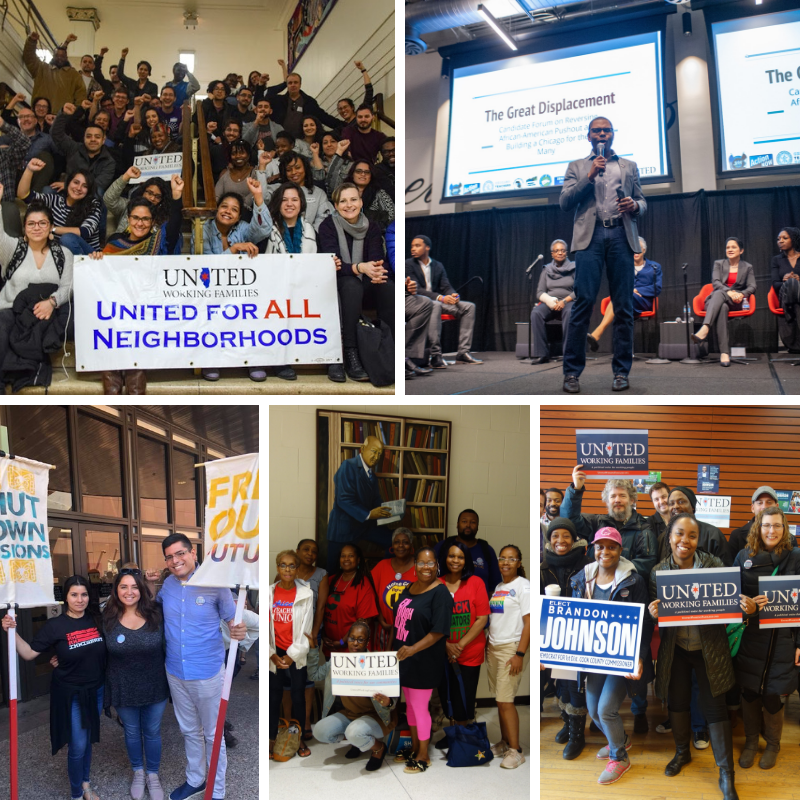 This year, we launched two programs that have deepened and broadened our bench of organizers, candidates, and campaigners of color: the Movement Leader Fellowship and the Black Worker Organizing Institute. The new class of fellows have been placed on campaigns for the Chicago city elections, where they are learning important organizing and fundraising skills. We are fighting. We staked out bold positions on the issues that matter most, whether it was sending elected officials to the US-Mexico border to protest family separation or organizing an 800-person mayoral forum on Black displacement in Chicago. It’s been a powerful year for us—and it’s made possible only by the support of our members and donors. If you're looking forward to winning, growing, building, and fighting with us in 2019, please consider donating today.